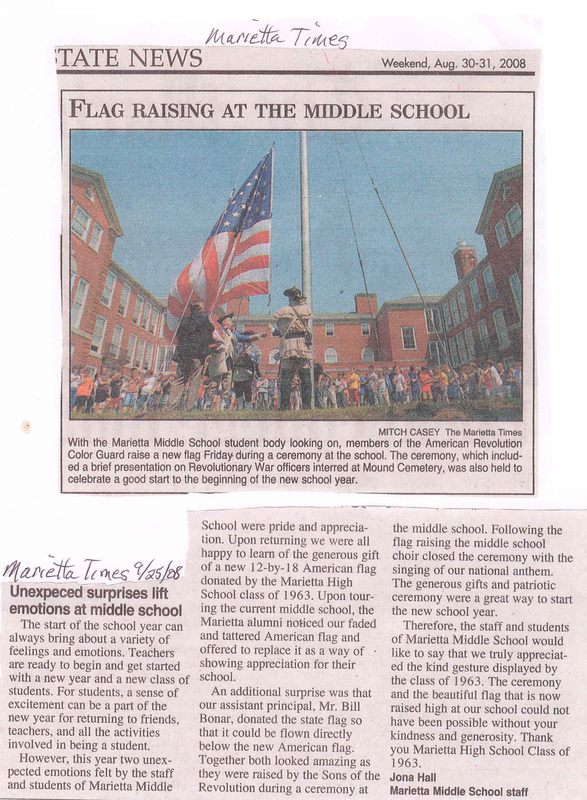 Click here for Marietta Times Article on the donation of a new flag by the MHS Class of 1963. 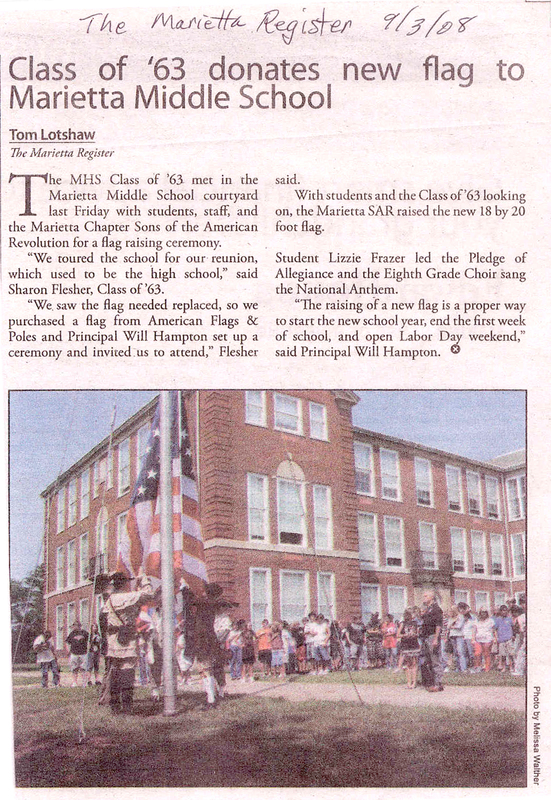 Click here for Marietta Register Article on the donation of a new flag by the MHS Class of 1963. Send mail to flesher@kaslodesign.com with questions or comments about this web site.